Close the diagnostic modale that appears. 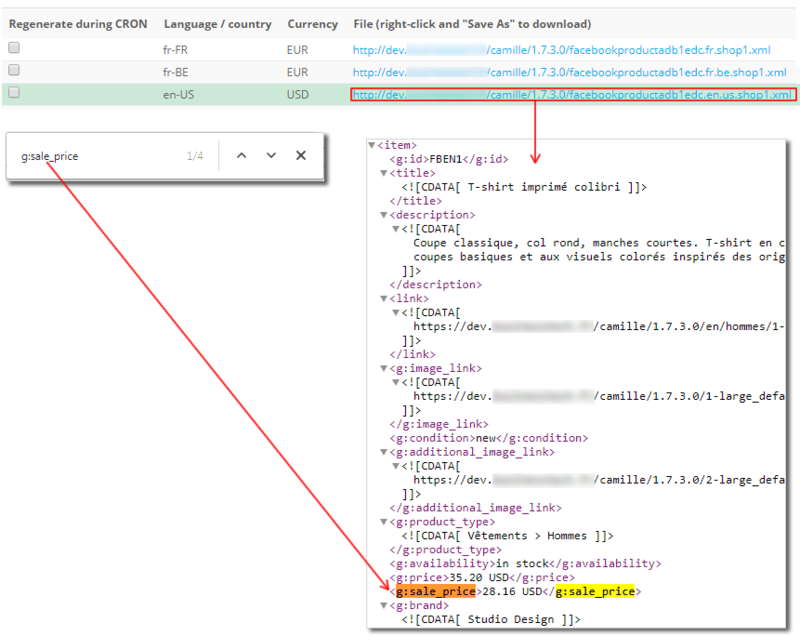 Click the URL of the XML file you just updated. It should open in a new tab. Press "CTRL" and "F" simultaneously (or "CMD" and "F") and look after the Google attribute (also used by Facebook) "g:sale_price" which matches the sale price. If you see this attribute, for each of your promonotional products, your sale prices are well exported. 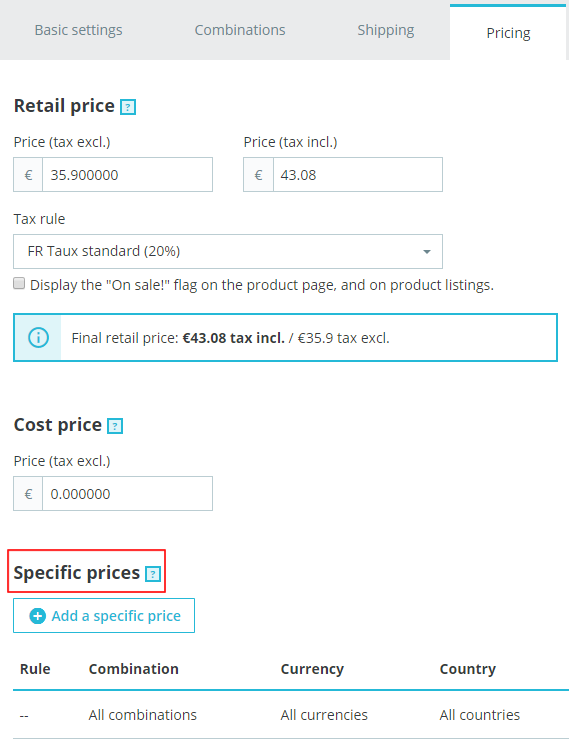 When you create your advertising content, if you decide to display the "current_price" in the description of your products, this is this sale price that will appear. In the example below, the "T-shirt imprimé colibri" product has a standard price of 35.20 USD and a sale price of 28.16 USD.